I'm not here to review albums as music is subjective and too many people are formulaic with their descriptions. I don't want to be another one of those people. 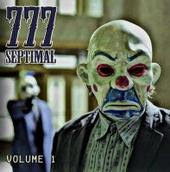 777's Septimal sounds fuego to me and I'm going to be putting my copy straight on the Pod.